Money is always a big consideration when it comes to buying a car in Singapore. Here are our choices for the cars that give you the best bang for your buck. Last year, we did our first ever “Best Value For Money Cars” in Singapore article. By itself, the sentence appears contradictory. The words “Cars” and “Value” do not go well together in Singapore where COE and ARF taxes make owning a car exorbitantly expensive. With that said, we dive straight into some of the best value for money cars in 2017 that you can buy in Singapore, based on your needs and budget. Some of us genuinely need a car. We have kids or elderly parents we need to ferry around on a daily basis. Taking the public transport or calling a cab isn’t feasible. What do we do? Buy a Mitsubishi Attrage of course! As hard as we tried, we just couldn’t find a better “Get Me From Point A To Point B” car than the Attrage. This is the second consecutive year the Attrage has come out as our top choice. The Attrage is a proper sedan with a surprisingly big enough boot space. It fits five adults comfortably and has decent fuel efficiency at 20.8km/L. The current price of the Attrage is $80,000, or about $8,000 less than what it was last year when we wrote our article. Prices have also dipped to as low as $77,000 in recent months depending on when you buy it. Of course, we are not saying that isn’t a lot of money. But let’s be real, with COE prices already at about $50,000, just how much lower can car prices be in Singapore? It’s just the two of you with the occasional friends who tag along. You are not too concern about having a big family anytime in the near future. Neither do you take long road trips to Malaysia. The popular Honda Jazz has been around for many years. With a great fuel efficiency of 19.6Km/L, it’s a car that would give you tons of mileage and just about enough power to comfortably overtake slow moving lorries on the expressway. At $87,000, it narrowly beats out the Suzuki Swift ($87,000). It’s also a more financially viable option compared to its peers such as last year’s winner the Volkswagen Polo ($98,400) and the Nissan Note ($96,300). Once you have kids, you start thinking differently. Suddenly, space and safety becomes a much bigger consideration for the cars you are looking at. With 7 air bags, a 1,995cc engine, a decent torque and a monstrous look on the road, the Subaru Forester won our vote as the vehicle of choice for those who just want to own an SUV. It’s more expensive than last year’s winner, the Honda Vezel. However, we opted for it as we believe it’s money well spent since it’s a much bigger and more powerful car. On the other hand, the Vezel appears to be “oversold” in Singapore as you see one almost everytime you step on to the road. You have kids and parents to ferry around. Your friends rely on you whenever there is a gathering to pick all of them up. You need a car with 7 seats. 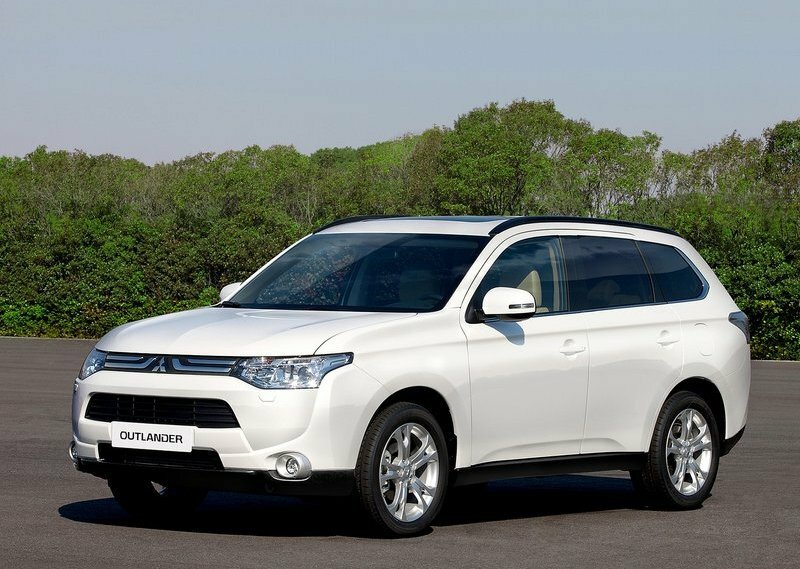 The Outlander is another vehicle that would give you a massive presence on Singapore road. It’s has an all-wheel drive selection, 7 air bags and best of all, 7 seats. The engine capacity for the Outlander is 2,360cc and the vehicle has good torque and power so it travels fast even for its weight. The interior of the vehicle is also surprisingly impressive. Price wise, it’s the most expensive vehicle on our list this year. That said, if you are looking for a vehicle that moves 7 people, it’s still much cheaper compared to its peers such as the Kia Sorento ($158,000), Toyota Fortuner ($177,000) and even MPVs like the Honda Odyssey ($142,000). Last year’s winner the Kia Carens is slightly cheaper at $113,000. Yet, if we were looking at just a difference of $3,000, we would opt for the bigger and better looking Outlander. Sometimes, part of the reason behind buying a car is to impress others. Even then, you can do it while getting a value-for-money buy. The Jetta is almost $30,000 cheaper than the Audi A3 Sedan, which was our choice for last year. It’s a vehicle that would not look out of place for business meetings or when you are fetching an important client somewhere. At the same time, from a price point of view, it’s the most affordable in its category. Popular Japanese sedan such as the Toyota Altis ($102,000) and the Honda Civic ($111,000) are at about the price range of the Jetta. In other words, if you are set on getting a continental car, the Jetta is likely to be one of the prime candidates that you would go for. Most other European cars such as the Volvo S60 ($160,000) and the Audi A3 ($135,000) will cost you tens of thousands more. What’s Would Your Choices Be? What are your views on our choices? Would you opt for the same cars or are there better options out there that you would have chosen? Discuss your views with us on our Facebook page.